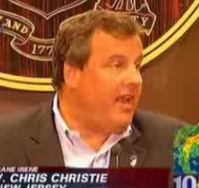 On Mediaite: Hurricane Irene was making some local leaders more paranoid than others, and no one was more het up than New Jersey governor Chris Christie. 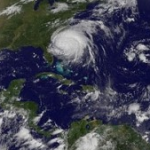 In the hours leading up to the storm, he said during a press conference “Get the hell off the beach in Asbury Park and get out,” he said. 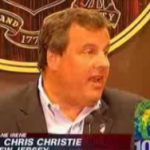 “Get the hell off the Beach in Asbury Park and get out. You’re done. It’s 4:30 PM. You’ve maximized your tan. Get off the beach. Get in your cars and get out of those areas.” LOL! See the clip here. 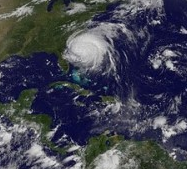 Geekosystem brings us some arresting photographs of Hurricane Irene from space, reminding us just how small our planet is and just how large that storm is. To see more images, click here. On Styleite today: The New York Times really, really wants man bracelets to happen. 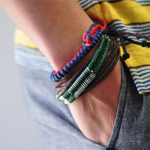 Their rationale: “Many guys have begun to view bracelets as a way to separate themselves from the herd.” Well, if the Times is on board…to read the full post click here. Oh, noooo: Sportsgrid has found that when you play Madden ’12, your quarterback is automatically white and your halfback is automatically black. 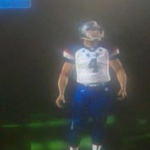 Cool racial profiling, video game creators! Get the full post here. 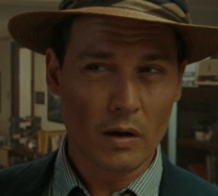 Gossip Cop has the trailer for “The Rum Diary,” starring Johnny Depp and based on the novel by Hunter S. Thompson, who was friends with Depp when the actor was much younger and wilder. To watch the full trailer, click here. 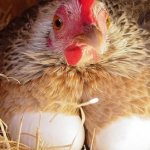 The Mary Sue would like you to know that chickens use birth control. Well, not exactly, but they do have a biological mechanism in place for rejecting lesser males’ sperm. How mean! To read the full post, click here. 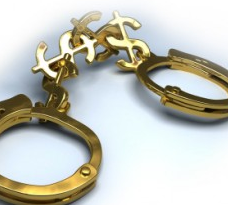 On Mogulite: if you have to go to prison, try to be rich and go to prison in Russia. They have sushi there! Get the full post here.